I have to say that this is some of my finest work right here. 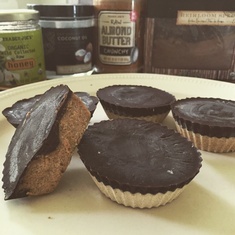 Raw, sugar free, high protein almond butter chocolate cups - that taste like Reese! 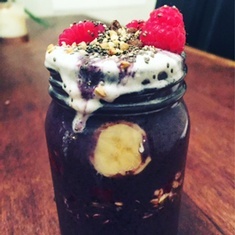 You get more radiant & fit from eating them and they're like dessert! (Not a legal claim but pretty reliable). 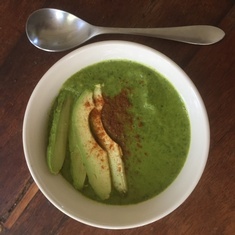 This dessert or anytime snack is creamy, delicious and replaced ice cream in my repertoire. No added sugars, good fats, proteins and greens!? It nourishes like health food but tastes like a treat.